This is a practical step-by-step guide to how the quality of teaching and learning in schools can be improved through the development of organizational capacity and professional networking. Whether you're involved in the National College of School Leadership's Networked Learning Communities scheme, or simply wish to enable teachers to initiate and sustain education change, this replacement to David Frost's earlier Reflective Action Planning for Teachers will be of great benefit. 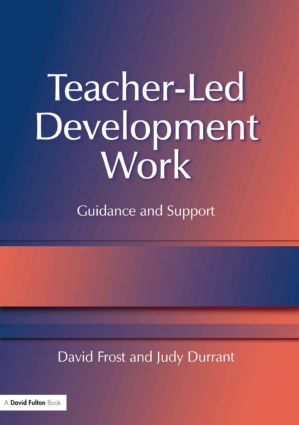 The book demonstrates how secondary and primary teachers can contribute fully to the improvement of their school, while pursuing their own continued professional development and gaining accreditation through school-based work. It provides guidelines for school managers, higher education tutors, external consultants and LEA advisors establishing school-based support, and gives tried and tested flexible proformas, checklists and other practical tools that are ideal for training, INSET or a personal audit.